We want to work with clients who value the service we provide with our personal financial advice. 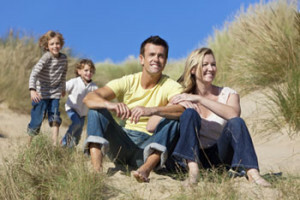 Inshore IFA has built a sound reputation on providing a personalised service to all our clients. We will listen to your needs and aspirations for the future and do not simply sell financial products. If you enjoy spending hours on the internet researching your own financial solutions, we are probably not for you. We know that we can work with people who fit this profile and achieve great results together. These clients are generally people aged between 30 and 50, with financial commitments. We will ensure that all financial commitments are protected and help you plan for the future with personal financial advice to ensure you can realise your dreams. These clients tend to be well paid professionals or run their own businesses but don’t have the time to sort out their own finances. You have no liabilities and you want to achieve financial independence. From our experience these clients are generally people aged between 50 – 65 and trying to reach a point where they can choose whether or not to work. They will be looking to maximise tax efficient savings vehicles available to accumulate the capital they need or want for the future. 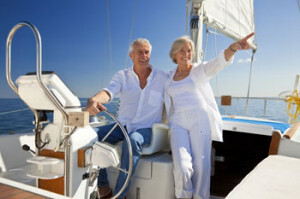 You have achieved your financial independence, so we will work to preserve your spending power and make sure that you have the ability to maintain your standard of living and truly enjoy retirement, such as travelling the world, helping to fund grand children’s education or buying that dream holiday home. These clients are typically retired with a high level of guaranteed income from pensions or have £200,000 of assets or more. If you believe that we are a good match, the first step is to arrange a meeting with one of our Financial Planners at which we can explain how we can help and what it will cost. So please give us a call. 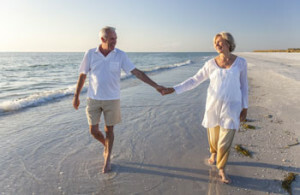 “Ever since being introduced to Darryl Charlwood a great feeling of wellbeing that my investment portfolio is being handled in the most efficient and competent manner possible, has descended upon me.When my Father died Darryl was understanding and helped gather all the paperwork required to obtain Grant of Probate.”- Jenny K, Bournemouth. “I just wanted to express my sincere thank you to you and Inshore IFA for all your efforts on my behalf in securing my pension annuity recently. When I heard from Winterthur originally I probably would have accepted their offer, but calling in to your office was one of my better decisions. You succeeded in nearly doubling my offer and I am pleased to say, I am now in full receipt of the annuity and hoping to enjoy my retirement, subject to life's vicissitudes! “Darryl Charlwood first advised my husband and I 16 years ago. We were very satisfied with the help and investments he recommended over the years. When my husband passed away, Darryl assisted me with all the paperwork connected with investments made by my husband and advised on the re-investment for myself. “Thanks seem inadequate, as my relief having completed is immense, but I am truly grateful as I feel more secure now. You were understanding of my plight, but never judgmental, and explained everything clearly. Your firm, and everyone in it, were totally professional, and thank you from the bottom of my heart."